The planting is complete and the “Weaver Fever” Quilt Garden, Weaver Furniture's 3rd garden, awaits visitors to enjoy the artistic beauty. We believe that our experience has allowed us to create our best quilt garden yet. Just in time for Father's Day, visitors are now able to embark on the annual Quilt Garden Tour in Northern Indiana Amish Country. For the 3rd year, Weaver Furniture Sales, renowned for Amish furniture craftsmanship, is participating in the tour, this time with the “Weaver Fever” Quilt Garden. The garden features subtle blends of pink and blue blooms arrayed in an eye-catching pattern. Tour visitors will see Fields of Light Blue Ageratum, Tequila Deep Rose Begonias and Blackberry Vinca flowers. Spend this Father’s Day enjoying a one-of-a-kind viewing experience. Plus, get numerous Father's Days specials at Weaver Furniture Sales' including 10% off one recliner and 30% off a second recliner through June 15, 2013. 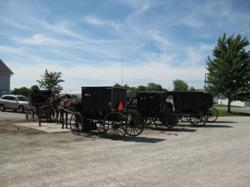 While most visitors are familiar with the food, furniture and flea market common to Northern Indiana’s Amish country, many are unfamiliar with the Heartland’s newest treasure: quilt gardens. Named for their brightly-colored arrangements of flowers in traditional quilting patterns across a large flower bed, the gardens located throughout Amish Country have drawn tens of thousands of visitors and are growing in popularity. 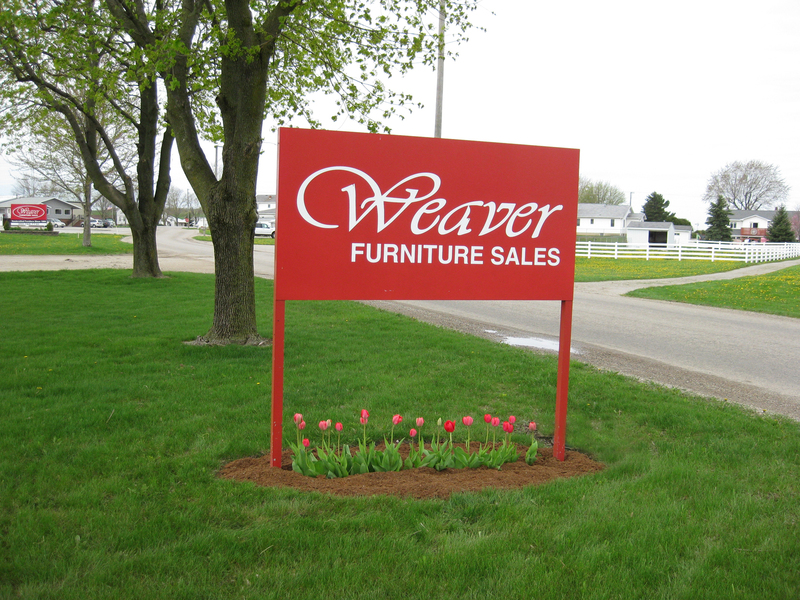 In 2011, Weaver's debuted their first quilt garden on the front lawn of their home and furniture store property. The response was overwhelmingly positive and the following year, bolstered by visitors’ enthusiasm and increased gardening experience, Weaver's created the “Sunshine and Shadows” garden. Designed by Carolyn Miller, Ida Weaver and Ruth Miller, the “Sunshine and Shadows” design also drew positive reviews. Now, the “Weaver Fever” garden features the most intricate design yet. Ruth Miller explains, "This garden is special because it represents an actual quilt pieced together by Carolyn." Part of the Heritage Trail Tour, the Quilt Garden Tour runs May 30th-October 1st. Browse the stunning garden creations and experience the “simple life” in a new way. Visitors are encouraged to stop by Weaver Furniture and see the stunning “Weaver Fever” quilt garden from the sturdy viewing deck which features details of the garden creation. Lovers of wood furniture will also want to explore Weaver’s vast furniture showroom featuring customizable, hand-crafted furnishing for the home.